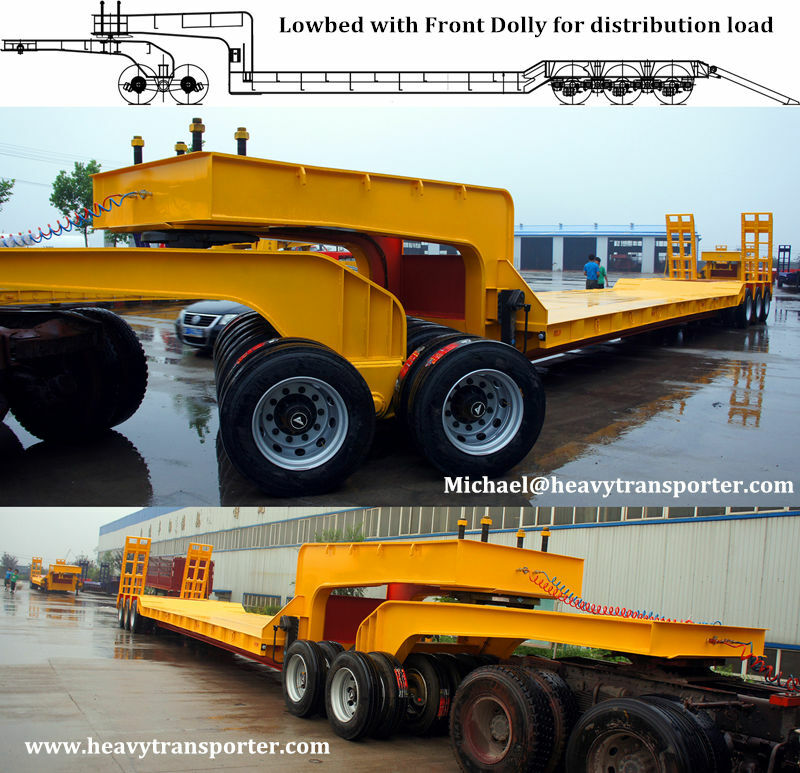 Mega Lowbed trailer with 1 to 5 axles, Removable Gooseneck, different lowbed variants, with or without 1 to 3-axle free-swing dolly. The Mega Lowbed is special designed for heavy duty and special transports. The Mega Lowbed allows for a high technical payload depending on his equipment. 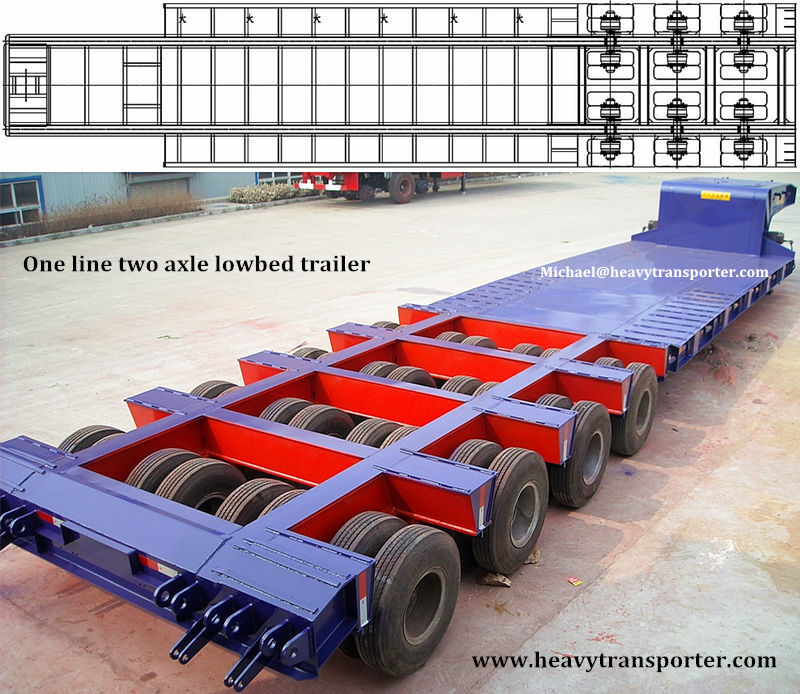 This trailer is based on 1-5 axles and can be fitted with a 1-3 axle dolly. The Max Capacity can reach up to 150 Tons.